In a first of its kind development, a noted Indian lawyer and motivational speaker Ashok Arora, now settled in USA sent a 10-minute video message through Whatsapp to Chief Justice of India T S Thakur on “how to ensure over all development of the country and its citizens” and urged him to accept it as a Public Interest Litigation (PIL). Indian judiciary is yet to admit Whatsapp messages or SMSs as petition even though it has converted several letters and post cards received by the judges as public interest litigations in the past. But to the relief of Arora, the chief justice has agreed to hear his PIL coming Monday though not the petition in Whatsapp form but based on a typed petition. He has been asked to put on paper whatever he has said in his voice message. Arora had sent the message to the Chief Justice few weeks ago. But since he did not get a reply he flew down to Delhi to make an enquiry. 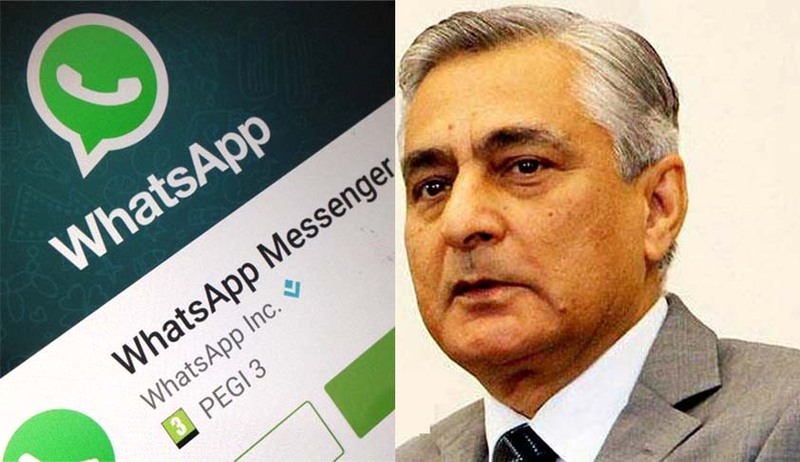 Yesterday when he referred to his message, CJI Thakur told him that the judiciary has not started considering whatsapp messages as ‘letter petitions’. Arora countered that if prayers made through post cards can be converted into a PIL, so can be whatsapp messages and “in fact such messages are more credible as one can authenticate the sender from the number it has come from unlike the post cards which anybody can send in anybody’s name”. In the petition, Arora said, he had raised the issue of citizens, including those holding powerful positions not performing their fundamental duties enshrined in the Constitution. He said he has raised the issue of Article 51 A and 51 A (H) of the Constitution. These relate to a direction to the centre to develop scientific temper, humanism and the spirit of inquiry in today’s youth. "99.9% citizens including lawyers, judges and parliamentarians do not perform their fundamental duties prescribed under Article 51 A of constitution," Arora said in his petition. In his plea he said, the world is producing machines but not compassionate human beings due to which millions are suffering and not getting one square meal. He said there is need to create an atmosphere so that people perform their fundamental duties and education system should make changes accordingly. “We all know that article 51 A of the constitution which defines the fundamental duties of a citizen enjoins upon every citizen to develop the spirit of enquiry and scientific temper” it said. The dream of framers of our constitution to wipe the last tear from the last eye is nowhere near realization rather millions of citizens go to bed on an empty stomach More than two lakh farmers have committed suicide people have no access to drinking water”, it said. “Recently your lordship made a public statement that your lordships job satisfaction was only five percent I admire your lordship’s candid declaration but it surely does not mean that your lordhsip’s many other colleagues and those who govern this nation are having a better job satisfaction”, said Arora.